Addis Ababa (HAN) May 2, 2014. The Oromo demonstrations (OPDO & elemnts of OLF) erupted in Addis Ababa against plans by the Ethiopian government to incorporate part of Oromia into the capital. Oromia is Ethiopia’s largest region and Oromos are the country’s largest ethnic group, willing to win the next election. Oromos say the government wants to weaken their political power. They say expanding the capital threatens the local Oromo language, which is not taught in Addis Ababa schools; under the rule of Federal juridictions, such as Dire-Dawa and Addis Ababa. Ethiopian Spokesman, denied the killings and said the master plan for expansion in Addis Ababa was publicized long ago and would bring the Capital Addis Ababa services to remote areas, inside Oromo National Regional State. 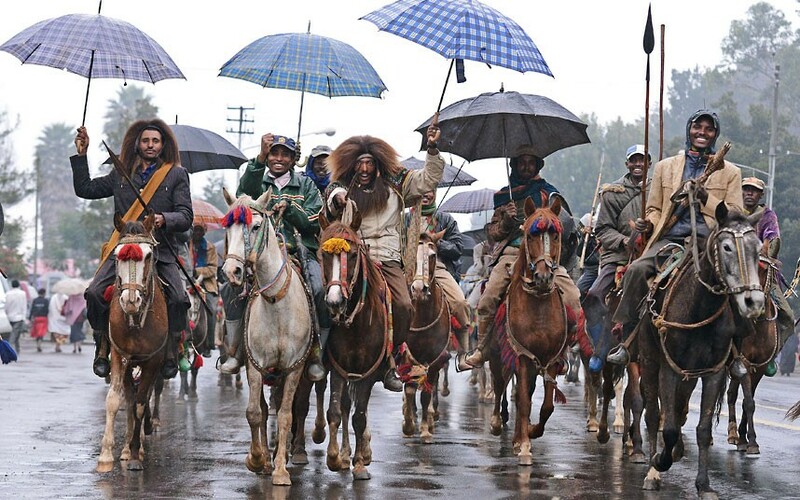 They accuse those they call “anti-peace forces” of trying to destroy Ethiopia’s ethnic harmony. The African tour: U.S. Secretary of State John Kerry, while he is in Addis Ababa had raised concerns about Ethiopia’s detentions. But the Ethiopian Foreign Minister Tedros Adhanom, rejected and said the charges relate to “serious criminal activities” and have nothing to do with muzzling the media. Kerry, whose government is a major donor to Ethiopia, said he raised the arrests during meetings with Prime Minister Hailemariam Desalegn and Foreign Minister Tedros Adhanom in Addis Ababa, where he kicked off an African tour. He said “When I raised him by name in my comments today I am raising a very legitimate concern. We are concerned about any imprisoned journalist, here or anywhere else,” said Kerry. “We believe that it is very important that the full measure of the constitution be implemented and that we should not use the anti-terrorism proclamations as mechanisms to be able to curb the free exchange of ideas,” he told a news conference. Critics say Ethiopia – sandwiched between volatile Somalia and Sudan – regularly uses security concerns as an excuse to stifle dissent and clamp down on media freedoms. Sources, ENA, VOA and HAN reporters. “anti-peace forces”? Yep, this the same excused used by Ethiopian government to silence oppositions. America cares only about their interest and always blind eye to the atrocities committed by any government socalled ally. I don’t not trust american to do the right thing as they have never did… How come you fund a government that kidnap and torture tens of thousands of its own citizens for political descent?